“Merry, old England.” Such a turn of phrase sounds preposterous to our post-modern world. Yet, with Howard Pyle’s The Merry Adventures of Robin Hood, the reader is thrust into a world that is both familiar and foreign. A world that is centuries gone, but could also be the day after tomorrow. The protagonist of this book is a welcome reprieve from heroes in recent pop culture. Robin Hood is not a Game of Thrones-style hero that finds kindness to be rewarded with betrayal, nor an anti-hero with a litany of contradictions and complications, but a hero we willingly cheer on, who makes us laugh, and outfoxes those who abuse power. After all, in the heart of Sherwood Forest, cheer and justice go hand in hand. Throughout the book, Pyle immerses the reader in this “Merry England” that is as vibrant as any Provencal song with an invented Old English that preserves the music of the original ballads. It is the time of King Henry II, a Plantagenet ruler that controlled more of France than le roi, and towards the end of the story, Richard I the Lionheart. We are far away from Sadiq Khan and much closer to the Crusader’s vow. 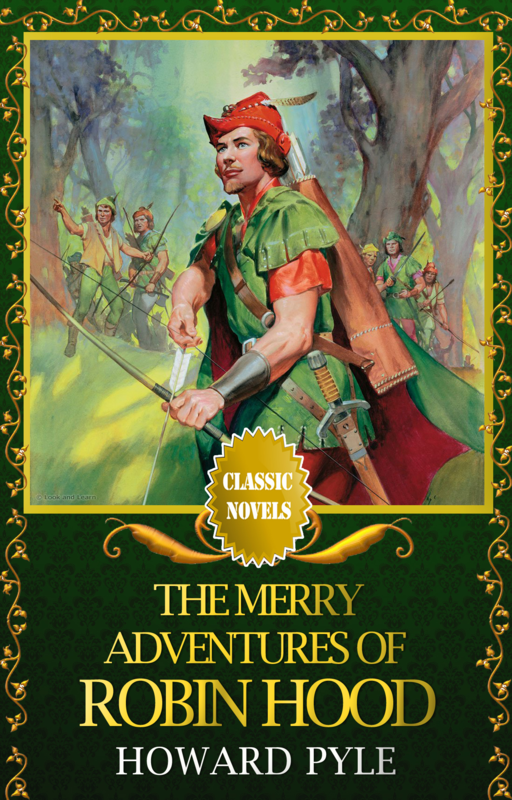 Robin’s love for archery sets up the prologue wherein he goes off to Nottingham Town to a contest proclaimed by none other than the Sheriff of Nottingham, “a certain fellow with a sour temper and a grim look.” He meets some of the King’s foresters, one of whom is kin to the Sheriff. They immediately belittle the 18-year-old Robin for his youth. A contest ensues wherein Robin Hood shoots a hart from a distance. But the foresters are sore losers, and the Sheriff’s relative fires at Robin, who has attempted to flee after heated words are exchanged. After an arrow “whistled within three inches of his head,” Robin Hood retaliates with an arrow of his own that hits its mark and kills the Sheriff’s kinsman. Robin flees into the greenwood as an outlaw for killing a man and poaching the king’s deer. The story finds its way to the Sheriff, whose interest in capturing Robin Hood is twofold, primarily, because there was a two hundred pound reward, and secondarily, because the man killed was his blood. This world, despite the jollity of its protagonists, is a one of injustice. The foresters did not attempt to stop Robin from killing one of the King’s deer, nor did they warn of him of the legal consequences, and yet they paint Robin Hood as a murderer and poacher who is forced to “to dwell in the greenwood that was to be his home for many a year to come, never again to see the happy days with the lads and lasses of sweet Locksley Town” (p. 3). Robin Hood, like many a hero, must be an exile for some time. The two main antagonists are the Sheriff and the Bishop of Hereford, who is the wealthiest and greediest of the clergy. The sheriff is a classic antagonist and an easy parallel to the politicians of the western world. If the Sheriff is antipodal to the ideals of a temporal state official, so the Bishop is in spiritual affairs. Both are led by greed and pride, and rule by fear and wrath. Their love of creature comforts is their sole raison d’être, and they grasp onto power through any means. This is categorically opposed to Robin Hood and his men. They own nothing and give away all they’ve taken. They have a kind and open disposition toward all they meet. They could be fearful and suspicious, yet they are the ones who respect freedom, duty, and country the most. In one tale, Little John goes to a fair at Nottingham dressed in scarlet and calling himself Reynold Greenleaf. He wins a competition at fighting with a quarterstaff and is welcomed into the Sheriff’s employ. A year goes by and Little John inevitably returns back to Sherwood to his master, Robin Hood. Here, Robin makes fun of Little John ceaselessly for letting himself get so fat and rusty at fighting. These are fine lessons for the New Right, who are constantly hounded into the woods of the Internet (and even the real woods). That is, places where respectable folk dare not go or dare not speak what must be said. The bishops and sheriffs of 2016 ceaselessly stir and feign moral indignation and hurl accusations, while at the same time pocketing coin from the men and women who make an honest living. Yet in Sherwood, the men lack the finer things in life are the happiest. They are outlaws that hold to the law better than the magistrates. They are better warriors because they take joy in manliness and song, and meat and beer. In contemporary society, when we think of Robin Hood, we think of the saying “steal from the rich and give to the poor.” Like many sayings, the Left has appropriated this and Robin Hood himself as some revolutionary. What they see in Robin is a romantic revolutionary — an Anglo-Saxon Che Guevara or Pablo Escobar — and the implied leveling of all society down to peasants. Whatever the Merry Men may be, this idea of Robin Hood is patently false. They are proud of their traditions; they respect order and hierarchy. Despite the fresh wound of the Norman invasion, the Merry Men are always swearing in earnest on relics of Saint Dunstan, Saint Alfred, Saint Withold, and any other Saxon saint. They love their England, the land of their forefathers, through victory and defeat. They have noble inclinations and are dutiful and obedient to their master, Robin Hood. Robin is truly noble. He is an Anglo-Saxon Odysseus, rather than an Old World Che. He talks with grace and does not allow vengeance and emotion to overcome his reason. He uses cunning more than force, and to better effect. He has the greatest indication of the regal capacity: to maintain reason over the passions. He is charismatic and likable too, and his banter with the Merry Men are funny today even though the humor is nearly 150 years old. Robin Hood is a character who can relate, and is relatable, to the lowliest of men, and can cause a queen to laugh and blush. Like Odysseus, he is of modest noble stock, so he is low enough to lack elitism but high enough to command respect. Perhaps most importantly, he is free from taking himself too seriously. Robin Hood always comes out on top in situations and is always the freest with his gains. I was surprised, for instance, to witness Robin Hood, and even Little John, lose in quarterstaff bouts, and yet always add to their company. They win men over with their honesty, sense of justice, or jolly comportment. 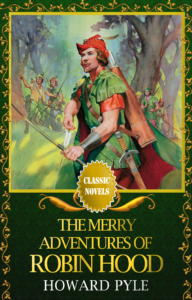 There are many traditional and conservative ideals in the pages of The Merry Adventure of Robin Hood. It is a tonic for today’s world that whittles away our sanity, hope, and patience. In Sherwood we find men strong in body and pious in soul who are gracious winners and gentlemanly losers. They defy the tyrants of their day with jests — perhaps a sort of proto-trolling? — and win the hearts of townsfolk. They love their heritage and honor their king. They accept a leader from among them and are obedient to him. One cannot read it without wanting to become a better man oneself. For as Robin says, “It doth make a man better to hear of those noble men so long ago. When one doth list to such tales, his soul doth say, ‘put by thy poor little likings and seek to do likewise.’ Truly, one may not do as nobly one’s self, but in the striving one is better . . .” (p. 143). Published: October 13, 2016 | This entry was posted in North American New Right and tagged Adam Franz, book reviews, heroism, Howard Pyle, North American New Right, originals, Robin Hood, superheroes, The Merry Adventures of Robin Hood, vigilantism. Both comments and trackbacks are currently closed. Nice! This book, as well as books like Ivanhoe, St. George for England and The Talisman are in the public domain, free on loyalbooks.com with a link to the audiobook download from librivox. Coincidentally, I have recently listened to the above mentioned books and, as Howard points out, have also discovered themes of honor, courage, loyalty; as well as cross-cultural themes dealing with how Anglo-Saxon Christians interacted with Jews, Muslims. Its an interesting way to see how our ancestors possibly dealt with these issues. The books are fiction for sure, but it probably isn’t too far from reality. Definitely some inspiration to be found in these older volumes. Not long ago I watched the DVD of The Adventures of Robin Hood; this was the 1930’s version with Errol Flynn. What a delight! It also had that light-hearted tone, with Robin and his men duly meting out justice in Sherwood, while humiliating Guy of Gisborne and the Sheriff. It is worth watching for Claude Raines’ performance as Prince John, who has deposed his brother, Richard, in an attempt to take the throne. He is a vicious, scheming tyrant who Raines portrays as an effeminate character, which only highlights his repugnant character. The kid in me also enjoys reading ‘Prince Valiant’. The artwork is a treat and the stories reflect a confident age.